SNHR has released eight report with the start of May 2015, documenting the most notable violations that were perpetrated by the seven parties to the conflict in Syria in April 2017 – civilian death toll, victims due to torture, toll of arbitrary arrests, most notable violations against media activists, most notable massacres, most notable violations against medical and civil defense personnel and their respective facilities, most notable incidents of attack on vital civilian facilities, and toll of barrel bombs use. 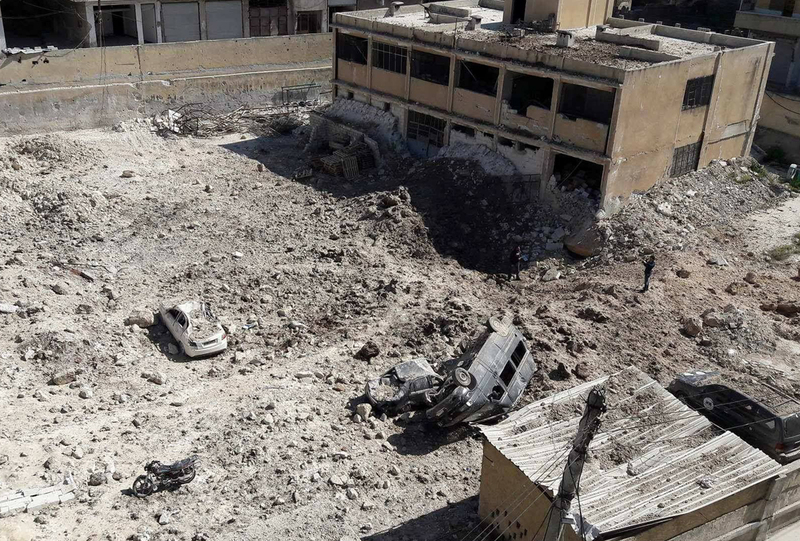 These reports draw upon the daily documentation processes during April, where SNHR, through its scattered members throughout Syria, monitors all violations by the parties to the conflict, and publish most notable news, before releasing a preliminary death toll at the end of each day. For more information, please see our documentation and archiving methodology. The report documenting the civilian death toll for this month, entitled “1014 Civilians Killed in April 2017”, stresses that the Syrian and Russian regimes have recorded the highest toll of civilian kills since November 2016, where the two regimes were responsible for 71% of total civilian deaths this month.